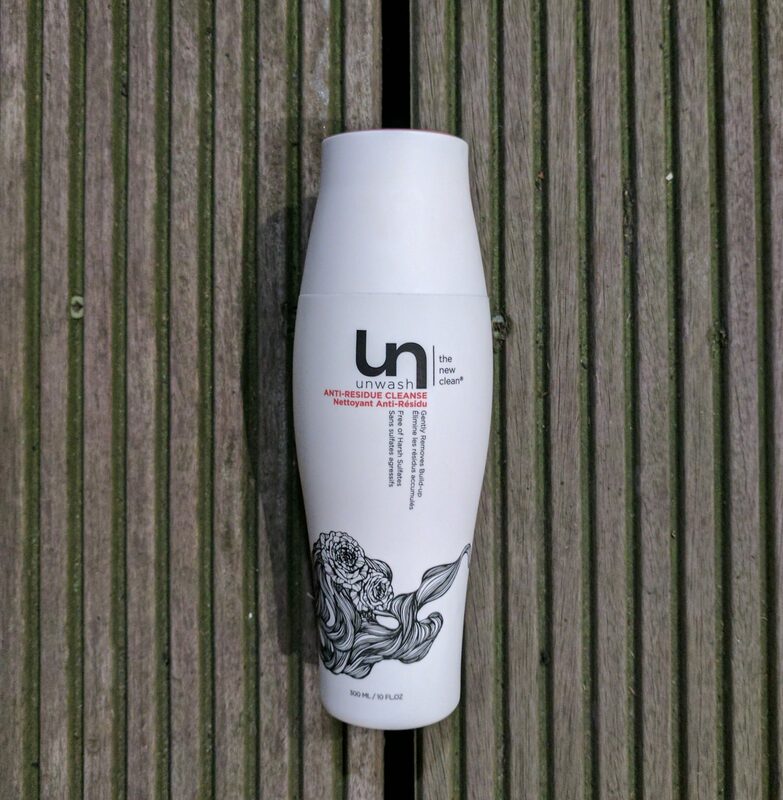 UNWASH is different to your regular shampoos, in so much as it is more a conditioner. Yes, you read right – you are washing your hair with conditioner! It took me a hot second to get my head (and hair) around it too, as it went against all that I have ever known of keeping my hair clean! But co-shampooing (washing your hair with conditioner essentially) in fact does wonders! Daily shampooing (or every few days) strips the hair of essential oils due to the harsh chemicals in regular shampoos. Hello dry hair and split ends! But co-washing means that hair is not only cleansed, but its natural oils are kept intact making it silky, glossy lushness. As well as that, it makes your colour last longer as there are no harsh sulphates or chemicals chipping away at your hair. PLUS – this is really a “wash and go” product – you only need one bottle in the shower, as this is both your shampoo and conditioner! 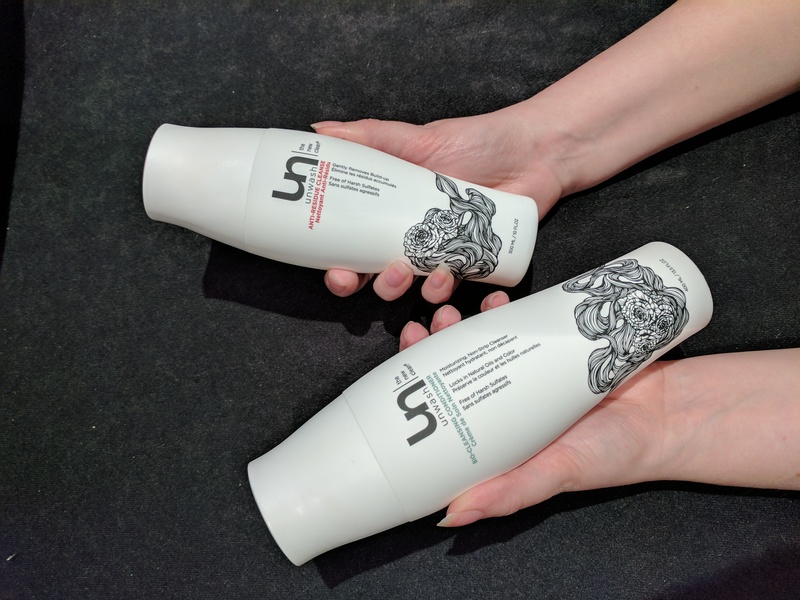 There are two products in the UNWASH range: The Bio-Cleansing Conditioner for day to day/regular use and Anti-Residue Cleanse, if you are after a deeper clean. What is lovely is the feel of the (highly instagrammable) bottles – they have a great non-slip texture, which is fab in the shower. Also, the bottles are a HUGE size and a little product goes a long way. Now, if you do use this product, prepare to feel a bit…odd! You will not get to work up a good ol’ lather! Now…I don’t know about you, but I have always associated a good foam to equal a good clean. You need to unthink this with UNWASH fillies! But hey, sometimes doing something differently means doing something BETTER, right? Right! The Bio-Cleansing Conditioner, which replaces your regular shampoo, may not foam, but it will leave your hair clean, soft and silky. Imagine all of the benefits of a shampoo, but with MORE! More manageability, more shiny, more smooth, more glossy looking colour. There is also LESS too – I found that my hair was less flyaway frizz, less static-y, less dry looking and it took less time to dry! Bonus! Essentially you are moisturising your way to clean. Packed with Cationic cleansers, organic Evening Primrose Oil, as well as Keratin, this is your hair’s new bff. However, if I felt I needed a deeper cleanse, say if I had been using a lot of hair products and they had a built up – it was time to reach for the Anti-Residue Cleanser. I would say on average I used this once a week or once every two weeks, depending on hair product usage. Using a combination of Coconut and Babassu oils, alongside Moringa Oleifera Seed Oil, this delivers a refreshing and calming cleanse to the hair. I felt this deep cleaned my hair, but not in the harsh way I have found with some shampoos. There was all the cleanliness sure, but minus the usual dry ends and wirey feeling I usually find. I have used this combo for the past month and have found that I am washing my hair less per week, but it is actually cleaner?! It is shiny and healthier looking AND the colour looks more intense and is yet to fade…plus it smells uh-mazing! 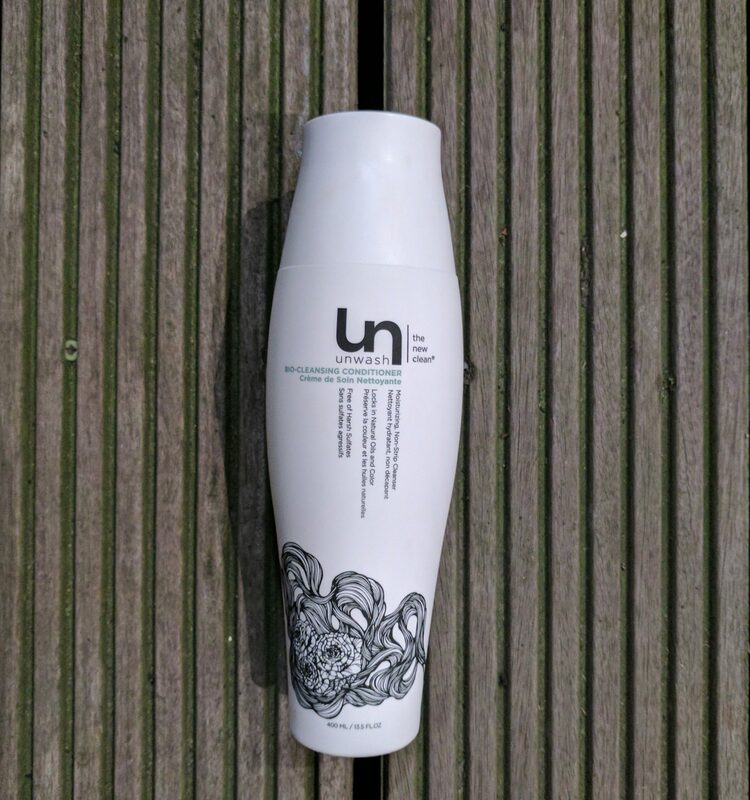 UNWASH’s tagline is “UNWASH…unconventional, uncomplicated, unbelievable” and I must completely agree. If you are after shaking up your haircare routine, this is one to try! Rethink – it’s time to UNWASH your hair…NOW! If you enjoyed this beauts beauty post – be sure to check out the rest of our beauty posts HERE! P.S. Want all the latest beautiful beauty and lush lifestyle posts from FDJ LDN straight to your inbox? Well, join our mailing list! Just click the “Subscribe” button at the top right of the page and – BOOM! All our posts straight to you as soon as they are published. You can also follow us on Bloglovin’ if you like. And be sure to check us out on social media! Follow us on Twitter, Instagram and Facebook. Co-washing is so good for your hair! Your locks are pretty rapunzel like so can only imagine how much more lush they look now! Interesting idea! I’ve not heard of cowashing before, so behind on the latest beauty products! I find it so hard to find a suitable product for my hair. It really needs washing every day. This sounds a really interesting idea. My hair is coloured too so I’d definitely be up for giving Unwashing a go if it helps protect the colour. Ahhh this is such a interesting idea and I’m really keen to try it! I TRY to wash my hair as little as possible as I know it strips the oils, but I struggle to not wash it as soon as it starts looking greasy. Is it a cruelty free product? This sounds like a fantastic product! My hair is so thick it takes a really good product to make it healthy and shine, so I might have to give this a go! I never knew about this but glad to have come across your post. Do they do samples? I want to try before getting the full sized bottle. Washing hair can be such a pain. I have recently started the ‘no-poo’ method, cutting out the chemicals in shampoo and conditioner to help hair growth and strength, it has worked wonders, with the help of both natural homemade remedies and bought products. 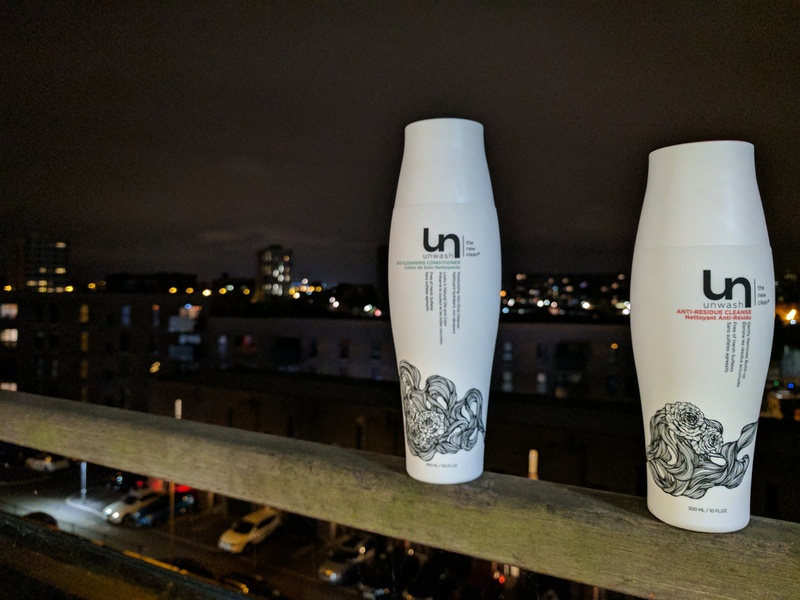 I have managed to reduce my hair washing down to once a week, which has made it grow so much, but not without the help of natural home made dry shampoo (I have a blog post on this also if you’re wondering how I made it). So I totally understand that you get to the end of the week and feel like dry shampoo is the only thing holding you together haha. I love having clean hair and washing it every day, not sure how I feel about these products!